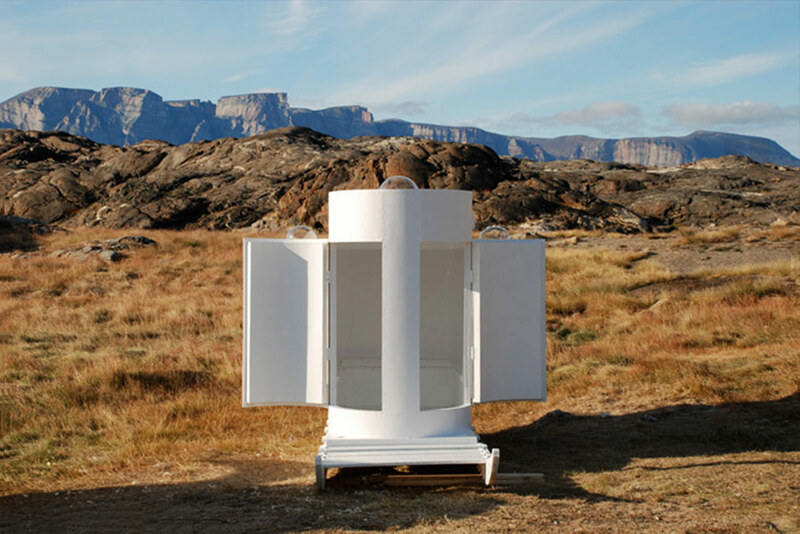 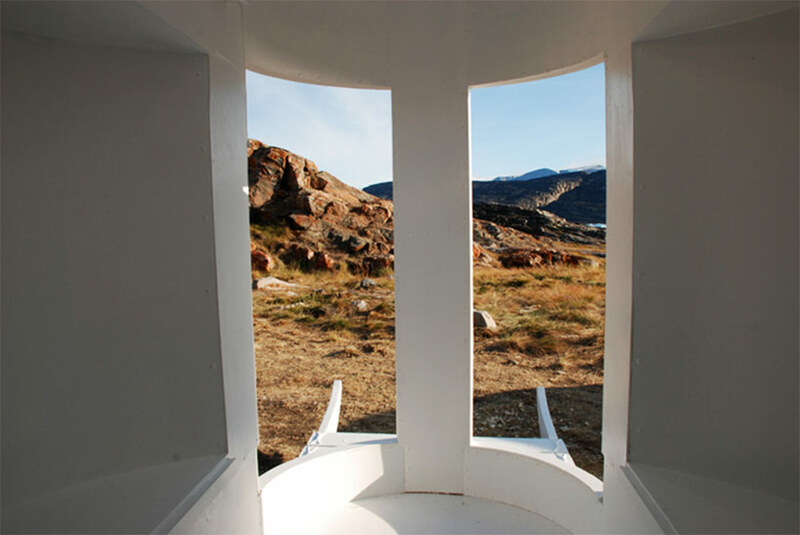 occupying a small space in the vast expanse of the icy uummannaq island high above the arctic circle in greenland are dutch artist rob sweere‘s set of sled habitats. 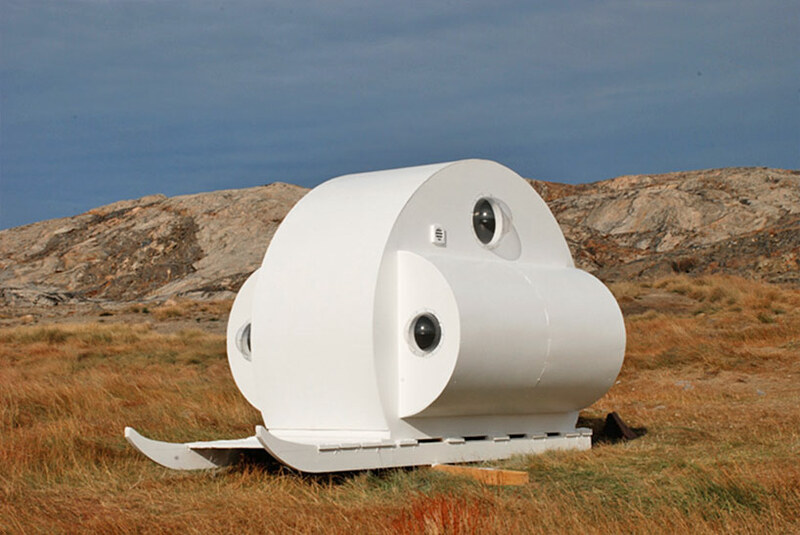 the two sculptural dwellings that make up his ‘sledge-project’ are pictured parked in the chilly landscape, yet they are movable units, able to be towed by draft animal over the sea-ice. 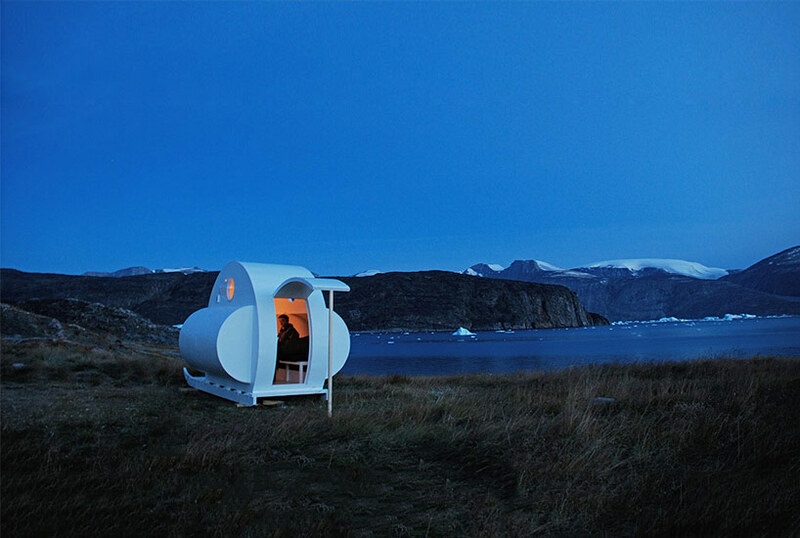 each snowmobile accomadates 6 people, is insulated, and can be used for sitting, cooking and sleeping. 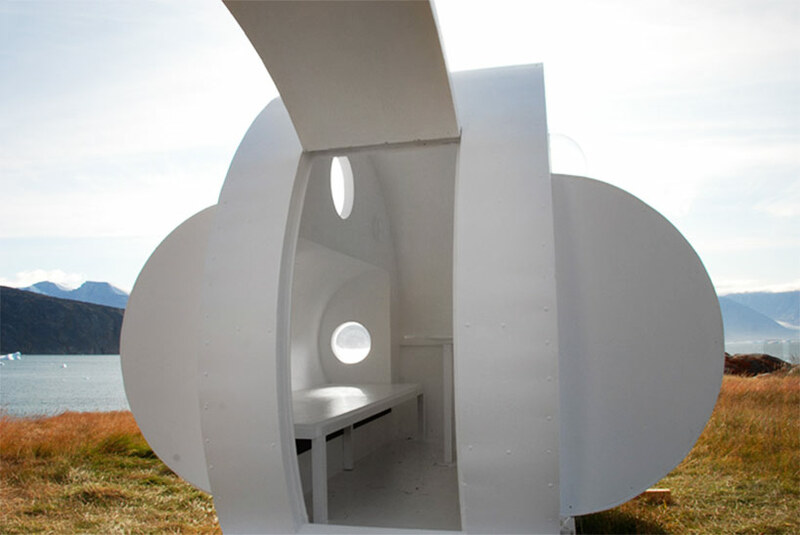 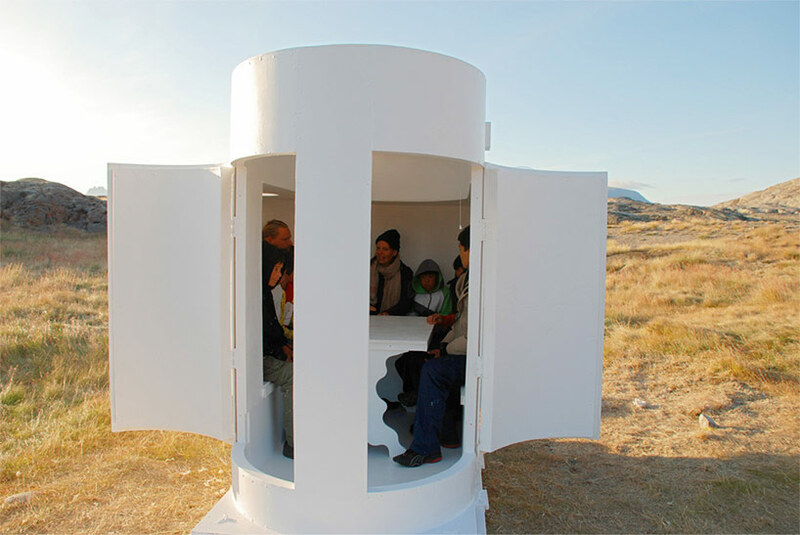 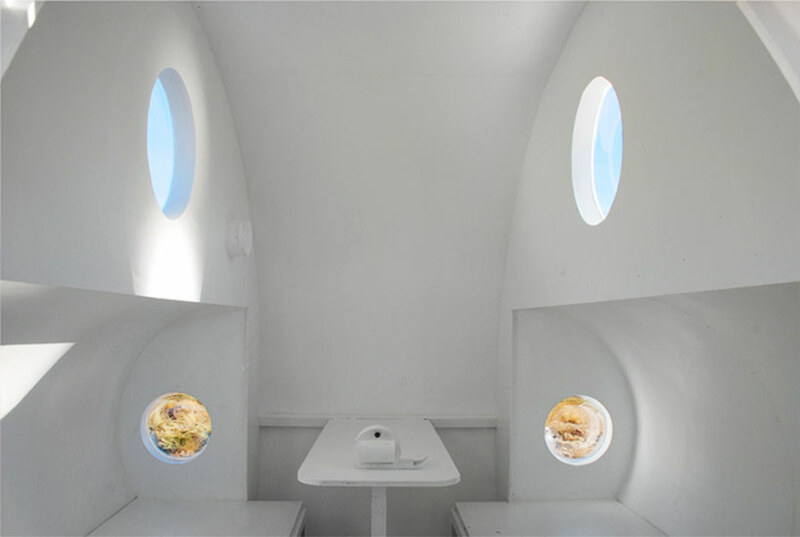 irregular in shape and construction, the bespoke design details hidden within the hut, like transparent portholes for outside panoramas, benches, and tabletops, allow for both functionally and aesthetic beauty. 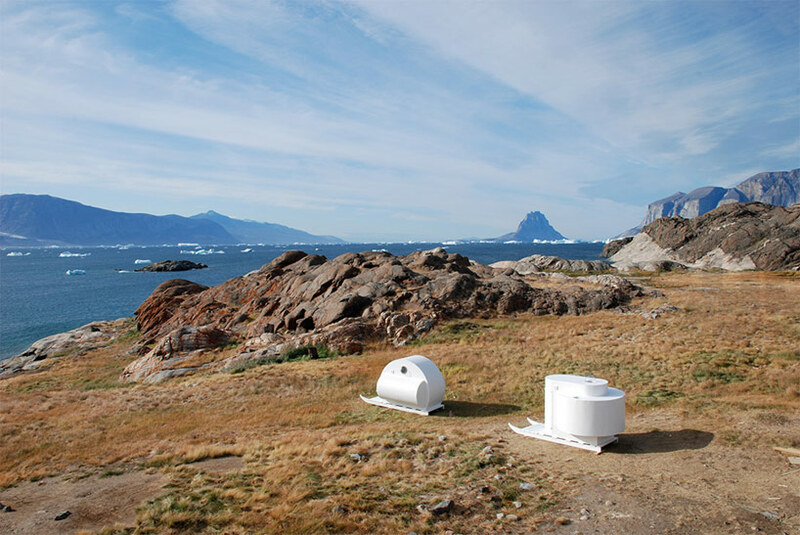 together with the production team and inuit hunters, the white wooden huts were constructed onsite, overlooking ice bergs the size of buildings. 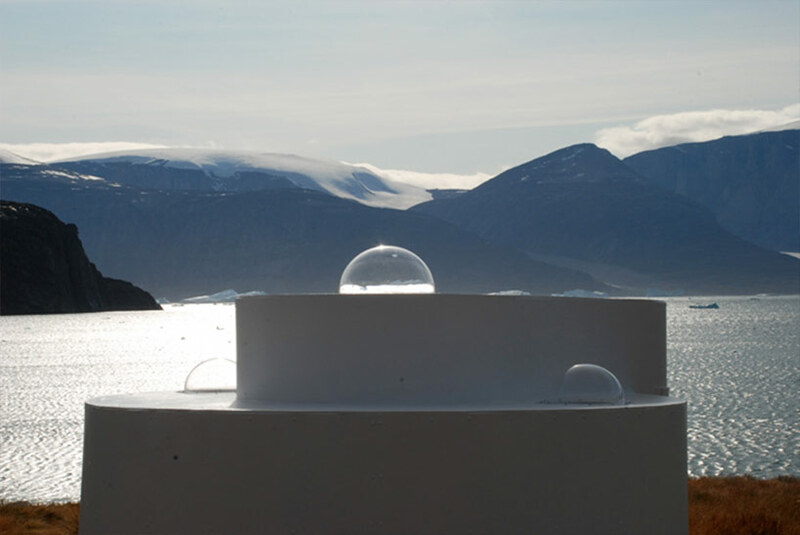 the project was commissioned by the uummannaq polar institute and ann andreassen with a production team that included denmark based rené kristensen and children home uummannaq.